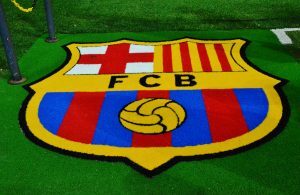 Barcelona will continue their pursuit of an unprecedented fifth Copa del Rey in a row as they take on Real Madrid in the first-leg of the semi-finals at the Camp Nou on Wednesday evening. The Catalans earned an outstanding result in the previous round as they came from 2-0 down on aggregate to Sevilla to eventually win 6-3. Elsewhere, Los Blancos enjoyed a relatively straight-forward route to the final four as they beat Girona 4-2 in the first-leg, before a 3-1 victory at the Estadi Montilivi. Barcelona are the favourites to win the trophy once again and are available at 5/4 to win a 31st title with BetVictor. Meanwhile, Real Madrid sit at 7/4 to win their first Copa del Rey since the 2013/14 season. The past form between the two sides will not provide Real with too much encouragement, however. In the last ten meetings between the two teams in all competitions, Real have only managed to win on two occasions. Despite that, the last time that the two teams came together in the Copa del Rey, Los Blancos ran out 2-1 winners. They are at odds of 3/1 with Paddy Power to pick up another victory, whilst Barca sit at 8/11. A draw is at 11/4. Odds on either teams to reach the final are also slightly different, too. With William Hill, Barca are at 8/13 to get the result they need to get beyond the semi-finals. Real Madrid are slight underdogs and are at odds of 6/5. Supporters were treated to an amazing game the last time that the two teams clashed in La Liga. Coming together in October, Barcelona ran out 5-1 victors as Luis Suarez bagged a hat-trick, as well as goals from Arturo Vidal and Phillipe Countinho. In all of the last 15 matches between the two teams at the Camp Nou, both sides have found the net on all of those occasions. This eventuality to occur once again sits at 1/2 with William Hill. Ernesto Valverde could have a few major injuries to contend with as they host Real. Lionel Messi and Gerard Pique both picked up knocks in the 2-2 draw with Valencia at the weekend so are doubts. Even if the mercurial Argentine is not fit, Valverde is unlikely to risk him due to a hectic February that will see the Catalans compete in La Liga, the Copa del Rey and UEFA Champions League. Meanwhile, Jasper Cillessen is also ruled out until at least March. Regarding Real Madrid, they have a relatively clean bill of health with only Jesus Vallejo restricted to the sidelines.